Get inspired!You're viewing a sample family wishlist registry. Hi, friends and family! We are busting at the seams in our new home, so we are starting this registry to encourage gifts that are about more fun and less stuff. Of course, the best gift we could receive is time with you! But, if you would like to give us a present, we hope these ideas are helpful. We love spending time at our local children's museum. It's the perfect place to spend an afternoon, especially when the weather's not cooperating. A family membership to the museum would definitely be the gift that keeps on giving! We are looking for some outdoor folding chairs to take along to the beach or concerts on the green. We would happily take used ones! If nobody has used ones, we like these from Hearth Song. And we would be happy to share! Okay, we’ll be honest. We’ve always wanted to go camping with the kids, but we’re newbies and nervous about going out alone! If another (more seasoned) family went with us to show us the ropes, we’d finally get our act together and go for it. Who’s in? Jack wants to learn how to become a pro on his new mountain bike! Anybody have time to take him out and give him some pointers? Anybody have any old items that they would be willing to donate to the kids’ dress-up bin? Bandanas, hats, suspenders…anything that could lend itself to creative play! We really want to create a regular routine in our family of helping those in need. So we are making a commitment of one Saturday a month to helping build a house through Habitat for Humanity, one of our favorite charities. We would love a gift of your time – pick a Saturday and join us! We have finally accepted the fact that grass is just never going to grow in our backyard. So we’re going to make the best of it! 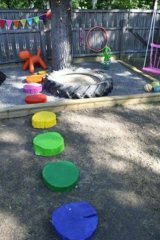 If you have any old items that would make for a fun playscape, we would really appreciate it. And we would love any design and construction help we can get. 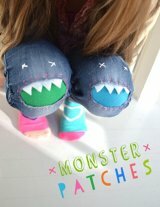 I’m not sure how the kids manage to tear holes in all of their pants. But we want to breathe life back into them with patches like these. Unfortunately, even these patches require more sewing skills than we currently have. Will someone teach us? Anybody else drowning in all their kids’ schoolwork? 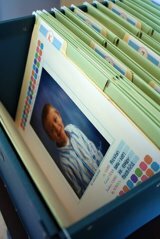 Please help me create a system to store all their important papers! We love to play board games! If you have any you would like to pass on to us, we would really appreciate it. 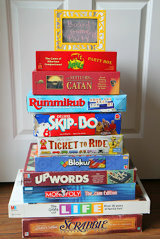 And we would love to have a regular game night on our calendar – anybody want to join in? We can take turns hosting. Give our family the gift of giving! If you give us a gift card from Global Giving, then we get to choose how to “spend” the money by directing it to the charity of our choice. 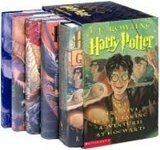 We would love a secondhand Harry Potter boxed set. Lily’s been checking them out of the library, but they never have the next book she needs. Very frustrating! We promise to pass the set on to another Harry Potter fan when she’s done. We want to kick our plastic water bottle habit! We would love one bottle for each of us. BPA-free, please! 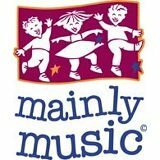 We've heard nothing but good things about a local music class called Mainly Music. I would love to sign the kids up! Each child costs $45, and the class lasts for the entire school year. There is no gift card or online payment available, so you have to use the old-fashioned check or cash option. Just be sure to let us know that it's for the music class. Most of you know that we spend quite a bit of time at our local library. Our local library has a book wish list, and, if you purchase from the list, you can choose to include a special book plate with the kids' names in it. 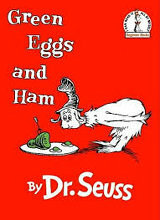 The kids would be thrilled to find a book with their name and a special message from you! We would love a CSA share at our local, organic farm. Not only will we get delicious food, but the kids get to go the farm and help pick the produce themselves!